Natalie is a very dynamic, fun woman and endowed in teaching. Having danced all her youth, she obtains her dance diploma at Montmorency college and at UQAM. 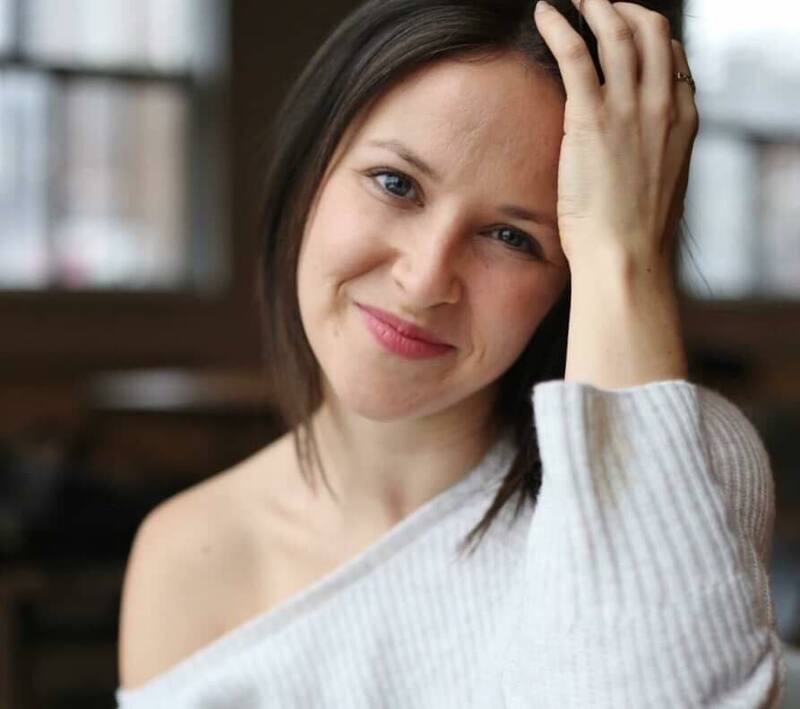 Having danced with "Les Alouettes" during several years, she opens then her dance school in 2011 in Laval, who is in big growth and also owner of the second studio in Vimont in 2017 to welcome more dancers heartily opened. She teaches all styles as well as zumba, pilates, mom / child and private classes for the bridegrooms. Her passion and joy of life attract us all in her courses. Cheerful and graceful, she began dancing at the age of 5 years in pre-ballet and developed a passion throughout her life. Graduated from the Cecchetti Society of Canada as a dancer and professor at the Intermediate classical ballet level. Also danced ballet full time at School of Dance in Ottawa in 1999. She has a total of 35 years of experience in classical, jazz, hip hop, contemporary, flamenco and salsa ballet. She has 10 years experience as a professor in various dance and recreation schools in ballet and jazz. Now professor of ballet, lyrical and jazz with EnKdanse and Director's assistant since January 2017. She began dancing at the age of 4 and since then she has completed her DEC in dance at Montmorency College. Educator in elementary school, she transmits her way of teaching young kids in dance with perfection and softness in creative dance, pre ballet and jazz since 2013 with EnKdanse. She started dancing in 1994 and has never stopped since. Formed mainly in jazz and contemporary, but also in hip hop and ballet. She competed for 15 years, starting at 10 years. Marjo has had the chance to participate in several competitions throughout Quebec, some of which are considered the biggest dance events in the country. Achievements: DEC in Dance (Cegep St-Laurent), So You Think You Can Dance Canada (2011), Broadway Dance Center (New York), Gala Artis, Canada's 150th Anniversary to come up). Now a jazz and hip hop teacher for young troops with EnKdanse since January 2017. She has several years of experience in social dance, 10 years of basic training according to the Royal Dance Academy method and 6 other years of ballet, jazz, contemporary and even hip hop. Her generosity and contagious laughter are offered in her classical ballet class for adults. Katia has always been passionate about dance. From an early age she learned jazz, tap, hip hop, contemporary and classical ballet. She teaches young people from the age of 15 years up to 24 years. She then devotes her time to her family and her teaching and osteopathic career until her passion for dance wakes up again thanks to EnKdanse! 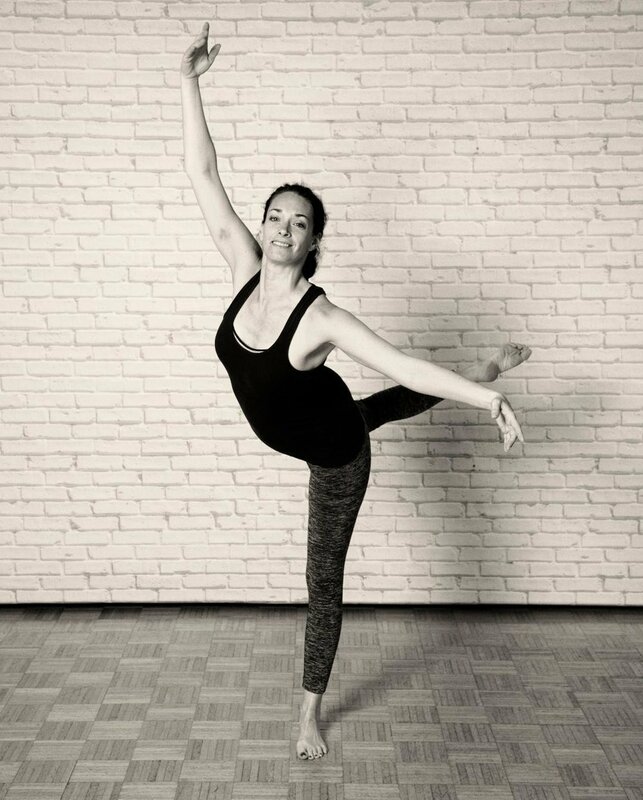 Katia has taught contemporary to teenagers and adults since January 2017. Sandrine has been dancing passionately since the age of 11. Accepted in Sport-Art-Study in high school, she continued her training in Cegep. Specializing more in hip-hop, ladystyle and high heels, she also masters belly dancing, jazz and contemporary as well as many other styles. In recent years, she has won numerous awards in various competitions everywhere. She participated in dance contracts, workshops and trainings of all kinds to continue learning and to upgrade. Sandrine has also taught in a dance studio in Jonquiere over the last three years to competitive troupes and young people of all ages. 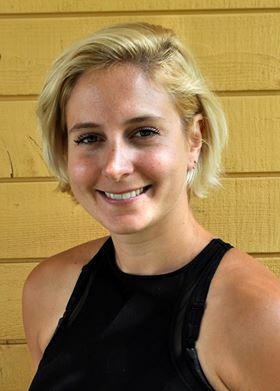 Now in Montreal since 2017 she continues her training and now teaches at EnKdanse. Young man self-taught, filled with artistic talents including dance, he teaches since 2016 hip hop to kids and adults with EnKdanse. He will be able to pass on his passion for dancing during his classes with professionalism while having fun. Dynamic and passionate about dance, she has been teaching for over 14 years and has taken care of several troupes. Hier beginnings were mainly in hip-hop, but soon her desire to expand her horizons allowed her to complete his DEC in contemporary dance in Montmorency. Over the years, Vero has touched popping, wacking, krumping, and classical ballet. She loves to play with musicality and interpretation. Not afraid of ridicule, her classes are often tinged with humor. Vero will now be a teacher for young adults in hip-hop and contemporary with EnKdanse in September 2018. She started dancing at the age of 3 and has not stopped since. She discovered the school EnKdanse at the age of 15 where she danced with the troupe jazz and hip hop. Later on, Sandrine became a creative dance assistant that soon become a dance teacher who has been very popular with children since 2015. After graduating in childhood education, she imparts her way of teaching young people in dance with gentleness and professionalism in creative and jazz dance. She always enjoys applying her notions of childhood educator in her classes so that they have fun! She started dancing at the age of 3 years up to 10 years at the school Suzie Paquette. After taking a break, she returned to live her passion at EnKdanse at the age of 14, also participating in competitions in all styles and also started as a creative dance assistant. Her passion remains contemporary dance and Victoria is now happy to pass on her passion as a teacher for the young ones. Jesse is a professional dancer who has trained in prestigious studios such as Broadway Dance Center in New York. With his talent and personality, he became known and was able to collaborate with international choreographers. Jesse trained in hip hop, contemporary, street jazz/jazz funk and a variety of other urban styles. He also trained in ballet, latin dance, singing and musical comedy. His passion for dance brought him to dance in several major events such as: Lip Sync Battle, Live from the Universe of Celine Dion and Mon Beau Programme with Véronique Cloutier, Gala Celebration, Music Plus, Just For Laughs, Evenko and many others. He is now a hip hop teacher with EnKdanse starting in September 2017. Professor of World Dance in EnKdanse for a few years as well as Cardio around the world, she will know how to energize you with her movements and international music. Lucie began her ballet training at the age of 5 in Montreal. Later she takes classes and Simonson jazz intensive courses with several renowned teachers, including Ms. Simonson. The following years are devoted to jazz, funky and broadway various recognized institutions in Quebec, Toronto and New York. She has been a freelance dancer in several shows, tours and festivals as well as in many galas and TV shows alongside several artists. She was also choreographer / dancer for Nathalie Simard's tour. Later, her passion for dance directs her to teaching. In parallel she makes a training at Concordia and obtains certification in Aerobic and Fitness Education. There is now 7 years old she receives her Zumba instructor certification which she has been teaching since. In addition she was part of Latin dance troupes and participated in salsa competitions at Montreal and Toronto. 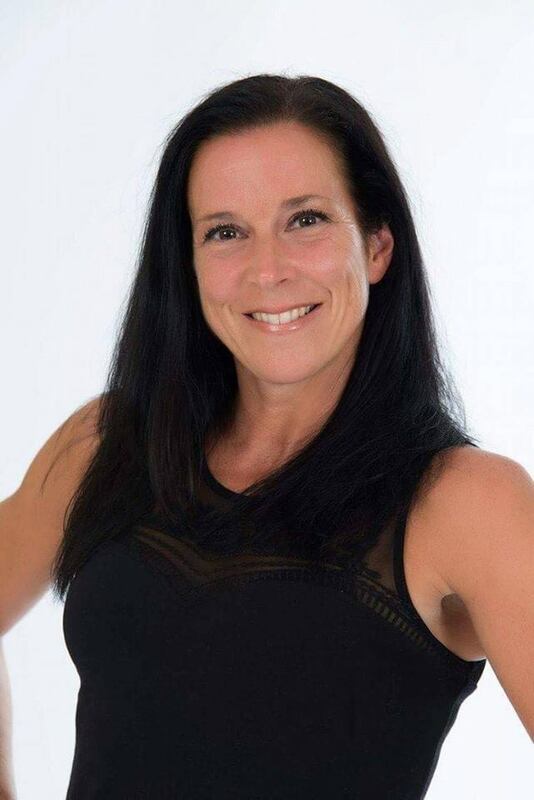 For the last 25 years she has shared her passion for dance with hundreds of students in through teaching and choreography and continues to do so with as much energy and passion. He has 7 years of experience as a breakdance and popping dancer and also has a ballet base American style. He participated in a Cirque du Soleil competition, Just for Laughs, performed with his band Dead Angle Crew at Francofolies, Montreal en lumières, Jazz Festival, shot some video clips and also participated in the show “Danser pour gagner” and “Révolution” ! He taught for 4 1/2 years in many schools in Montreal and South Shore as well as Community Centers and now with us since January 2019.